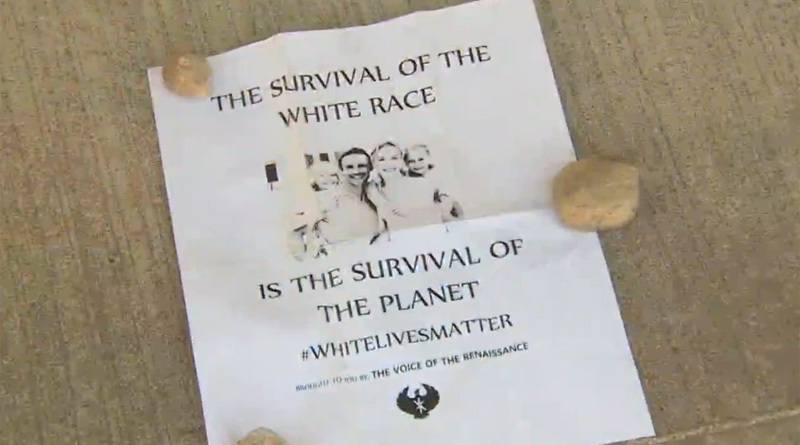 ALVIN, Texas — Fliers that were left at several homes in Alvin had some people up in arms Tuesday night. People up in arms about “fliers”! Not illegal immigration or crime. FLIERS! A group called ARS: Voice of the Renaissance confirmed it dropped the fliers in town recently. The group tells KHOU 11 News there was no particular reason it picked the area. 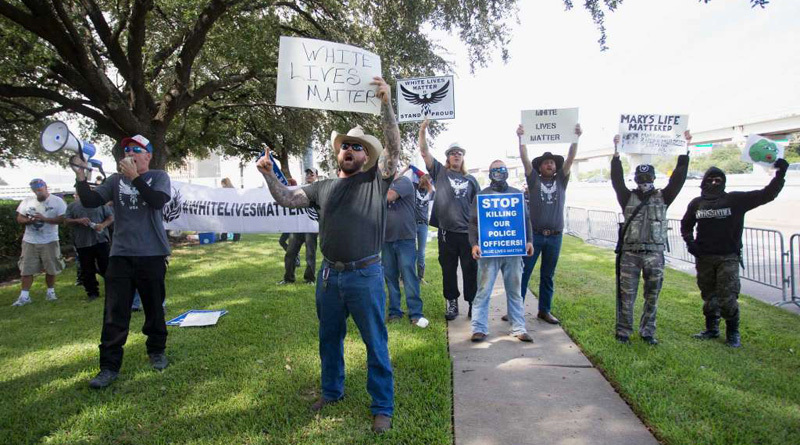 (Above) “White Lives Matter” protesters came out to oppose the Houston, ADL and to affirm being white. “I think it’s a good community. That’s part of the reason we bought our house here,” said Diane Dart, who bought her home in Alvin nine years ago. But it was next to that home where she recently found the flier, happening upon it after returning from a trip to the beach with her kids. She posted a picture of the flier to an Alvin community Facebook page, and soon enough, more people said they too got the flier, including Deborah Mueller. She showed us where the flier was left at the end of her driveway in a small plastic bag. 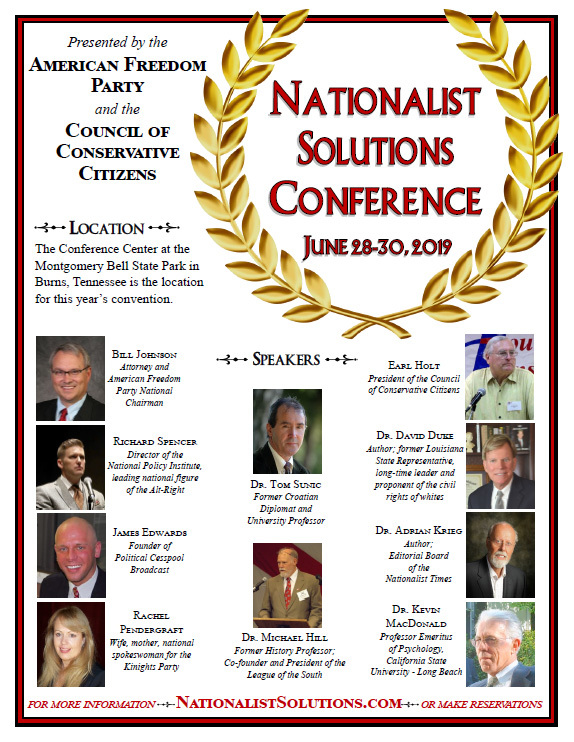 In all, at least six people received the fliers. ARS: the Voice of the Renaissance has a nearly identical flier on their Facebook page to the one distributed around Alvin. ‘Nearly Identical’ is a euphemism for ‘different’.